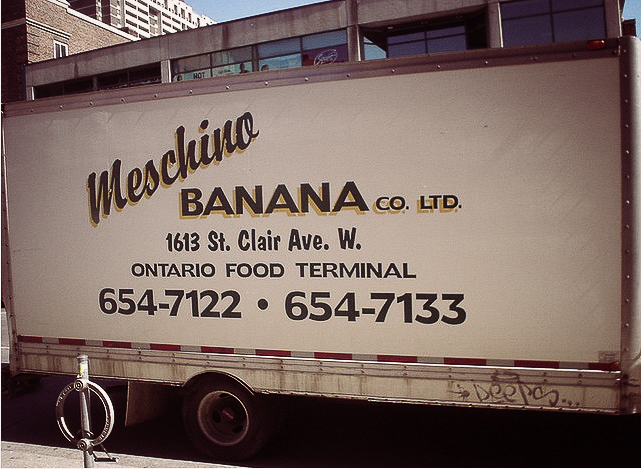 Established in 1920, the Meschino Banana Company imports, ripens, monitors and controls the maturation of both bananas and plantains for retail and food service. Besides bananas and plantains, however, Meschino also sells Mangos, Manzanos, Burros Cassavas, Chayotes, Onions and Avocados. You may recognize a few of the brands they carry which include: Dole, Chiquita, Del Monte and Turbana. Pasquale Meschino came to Canada in 1914. 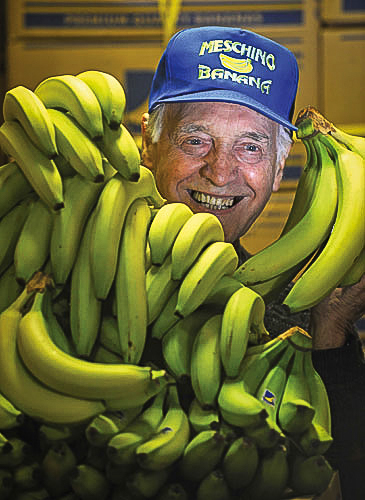 He started selling Jamaican Bananas on the streets of downtown Toronto out of a pushcart. 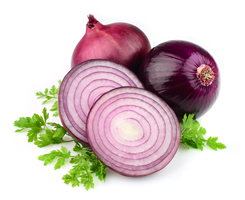 This soon lead to a wholesale network that spanned hundreds of small stores in the city. Recently, Meschino was managed by Pasquale's son, Joe. Today, it is operated by Dominion Citrus. A few things have changed since the banana cart but the quality of the produce provided by the Meschino Banana Company is still unmatched. The Meschino Banana Company strongly believes in community and contributes each year to the SickKids Hospital Activity book. Warehouse located at 1613 St. Clair Ave. W.